Too many credits to name but has worked with Chaka Khan, New Kids on the Block, Prince and most recently on tour with Beck. 2012 Guitar Center Drum Off Champ, Educator and Book writer. 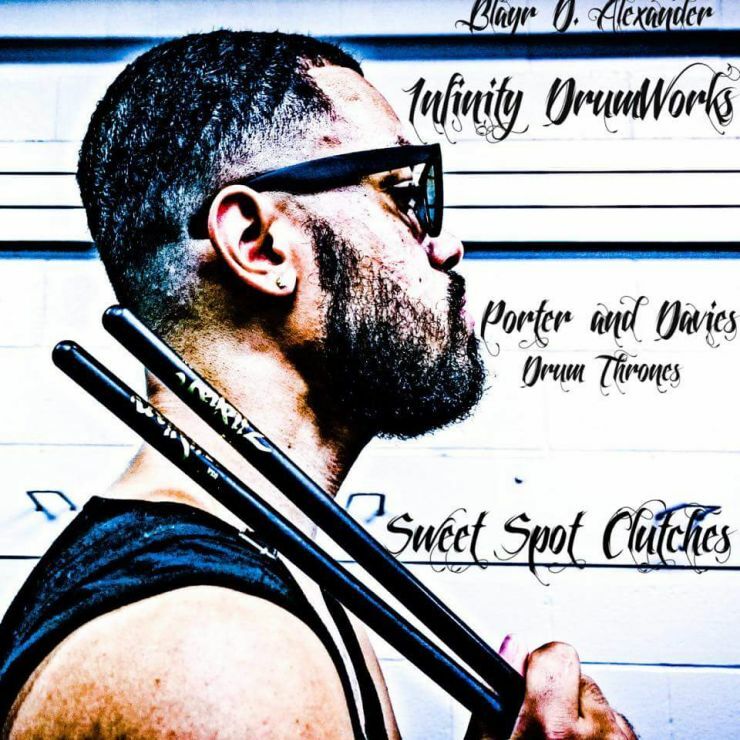 Just released his new book Rudiment Creativity. Drummer and drum tech for many big names. Maurice has been a great sounding board for Sweet Spot with ideas etc and all around killer dude! I've been playing drums since the age of 12 in my mother's local church. By 14 I was in two bands. I played live and recorded in the studios with numerous local artists. I am currently playing in a church in the Bronx called Harvest Fields Community Church where I now play with the house band called Funk Factory. We as a band produce and arrange music for many local artists. Playing at H.F.C.C. helped me grew musically as I was surrounded with great musicians. At the same time I joined a rock band called American Jettison where I did many gigs with for a few years. 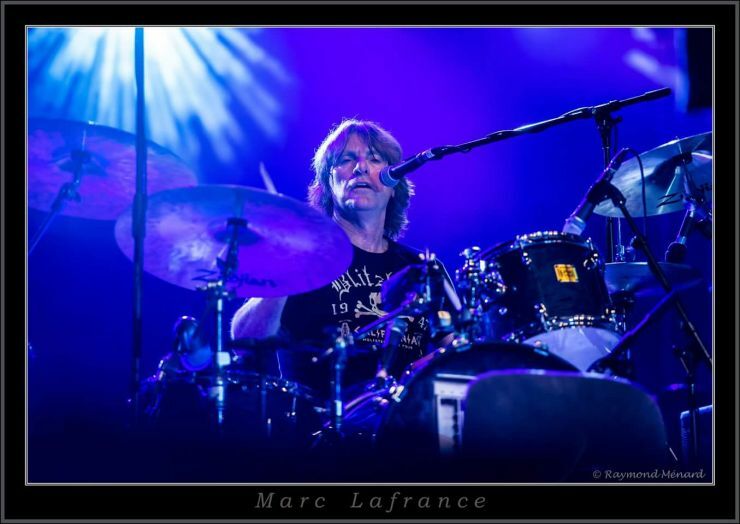 Mike "Machine" Mallais is a passionate Canadian drummer who has made a life long commitment to his craft. 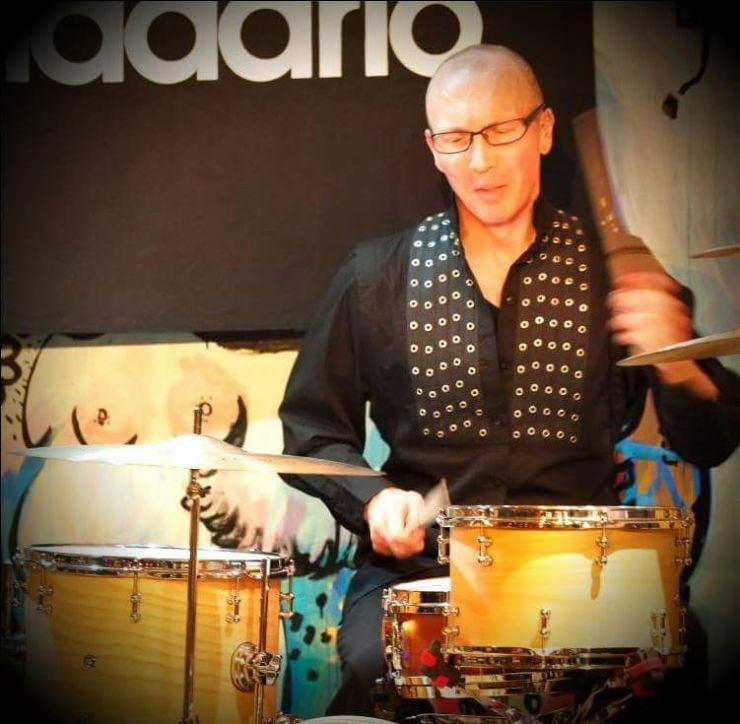 Having played since the age of 2, Mike so far is best known for being the Worlds Fastest Double bass player, having set 3 undefeated World Records in 2007 in the Double Bass Single stroke category with "WFD". Mike has performed countless shows all over Canada and beyond. He is also a globally recognized teacher who is always craving more from the art of music and continues to showcase himself as a very diverse and open minded player and educator. Mike is very strict about what products he uses and would love to have YOU check out his website @ www.mikemachine.com and find out what products make Mike sound and look great everytime! Have been playing since I was old enough to hold a pair of sticks. Played many different styles, both in Australia & New Zealand in the last 30 years. Has taught drums both privately and at government schools. Currently playing and touring with multiple award winning country rock artist Benn Gunn, also play with Stars of Country and German rock band Boys on BEKZ. And still various regular session/gun for hire gigs. Aaron Edgar is the drummer for Canadian prog-metal band Third Ion, where he showcases some of his most rhythmically adventurous playing. The resulting sound is heavily polyrhythmic, including a song almost entirely based in quintuplets called Van Halien, from their debut release, 13/8bit. Aaron was featured in Roland’s commercial for the TD-25kv V-Drum kit where he can be seen playing Third Ion’s Particle Displacement Mechanism. 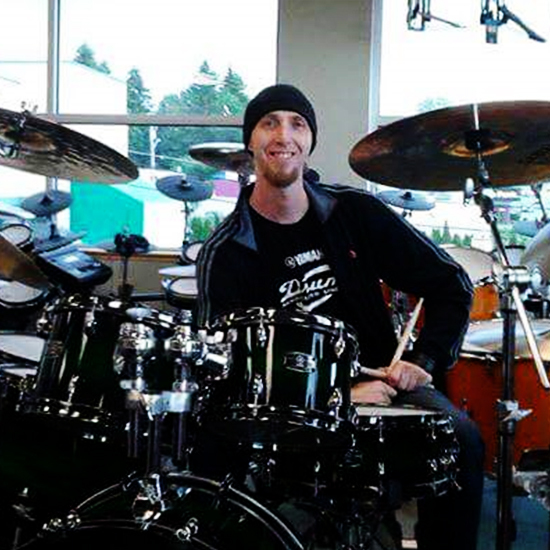 After the TD-25’s release Aaron took it on the road for a Canadian clinic tour ending at the Victoria Drum Fest. 2012 was a big year in education for Aaron. 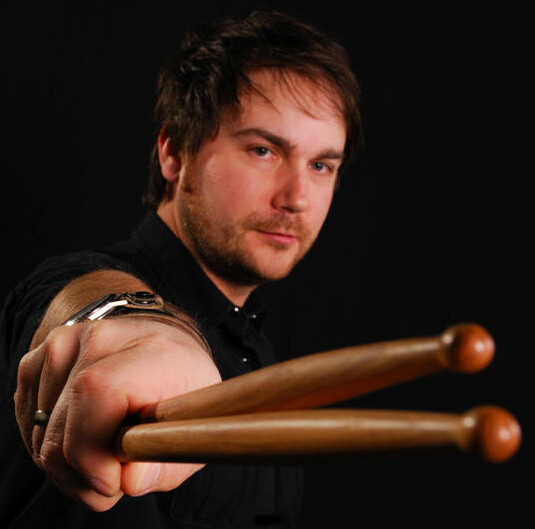 Following the success of his educational drum videos on YouTube he was brought on as the first ‘satellite’ instructor on Drumeo.com. Where he broadcasts weekly live lessons from his personal studio in Manitoba, Canada to this day. On top of this, he started writing articles for Drums Etc magazine and within a year, took on the role of Editor in Chief. During his year and a half as editor he helped transition the magazine into a more education-based format. Corey Bernard of the band The Existent, kickin a tight groove on this cover of Uptown Funk. 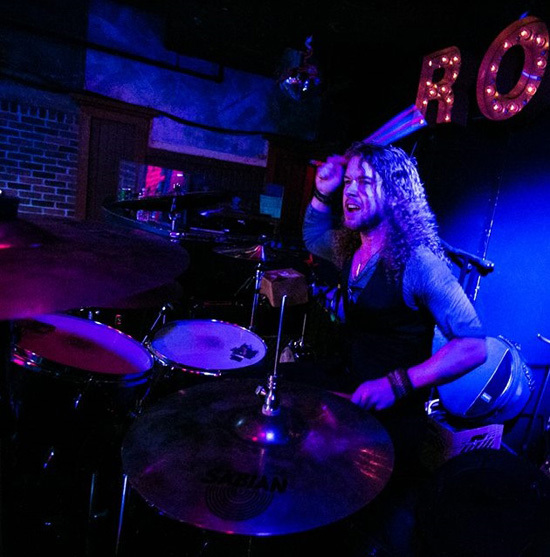 Great drumming and also great shots of Sweet Spot's cymbal nuts and hi hat clutch in action!! Check out more of Corey's YouTube channel and more to come from this talented young man!! Keep on rockin Bud! Well it all started when I was about 15 years old. My parents bought my first drum kit from this local store known as Ted Goods Music. I began playing all the time, as soon as I woke up to before I went to bed! One of my first ever bands was a country band called Open Highway. I was in grade 10 at the time. After some time, that band came to an end and I joined another band known as Speedline 98 with some buddies from high school. This was the band that really fuelled the fire! In grade 11 and 12, I played in a high school band known as CP Express. After graduating I took off to Nashville to see what that was all about and met a lot of really great musicians down there! After that I left Brandon Manitoba to move to Vancouver British Columbia! Played with a couple really great bands before landing in the drum seat with Bridges to Royal! You can check out their site for all the details on up coming shows! 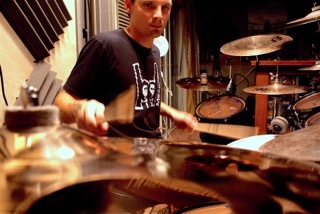 Seamus has been a creative drummer for years and host of probably the best drummers podcast out there...DrumGab. 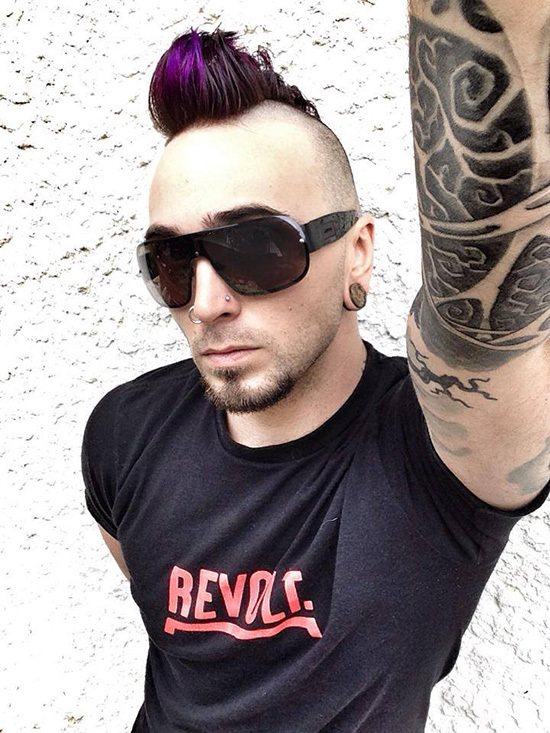 The show has gained mass popularity and furthermore now as he has joined forces with Drumeo to form DrumeoGab! Make sure you check him out and give him a follow...you won't regret it! Recorded with a vast array of prominent artists including Canadian groups Crowcuss, Chilliwack, Payolas, Loverboy, Trooper, Prism, Shari Ulrich, Bruce Miller, Straight Lines and Glass Tiger and international stars such as Long John Baldry, Alice Cooper, Motley Crue, Bon Jovi, Cher, Carly Simon, Blue Murder, The Cult, David Lee Roth, Scorpions, Black Veil Brides, Bachman & Turner, "Michael Bublé's Christmas in New York," and many others. Originally from Baltimore, MD,but has lived in Japan since 2002. Being a foreign drummer has allowed me to jump hurdles and perform/tour with great visiting artists from around the world. I also play with the band Out of Dust. Endorser for D’Addario Corp, Amedia Cymbals, Kickport, Vruk Pedal and TNR Products. Jerry Adolphe has been teaching drums for more than 40 years now, with a wealth of experience and knowledge to share with his students. 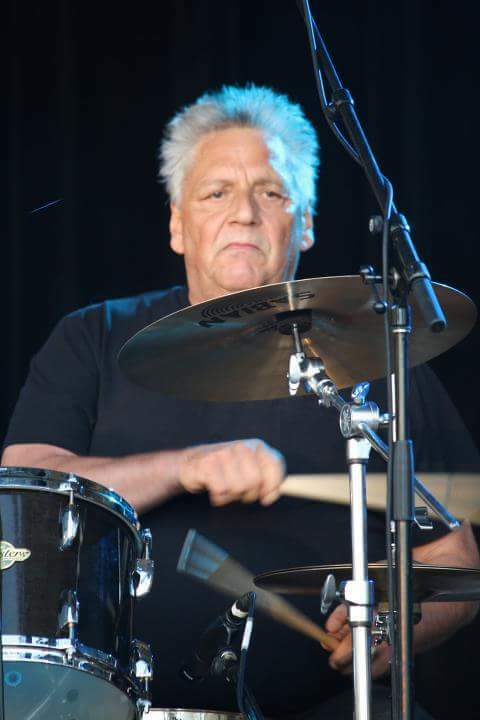 He has performed with The Jim Byrnes Band, Chilliwack, Lisa Brokop, and many others - winning the West Coast Music Association’s award for “Percussionist of the Year” from 1987 to 1990, as well as the “Best Drummer” award from the British Columbia Country Music association, every year since 2005. Pearl Drums endorser. 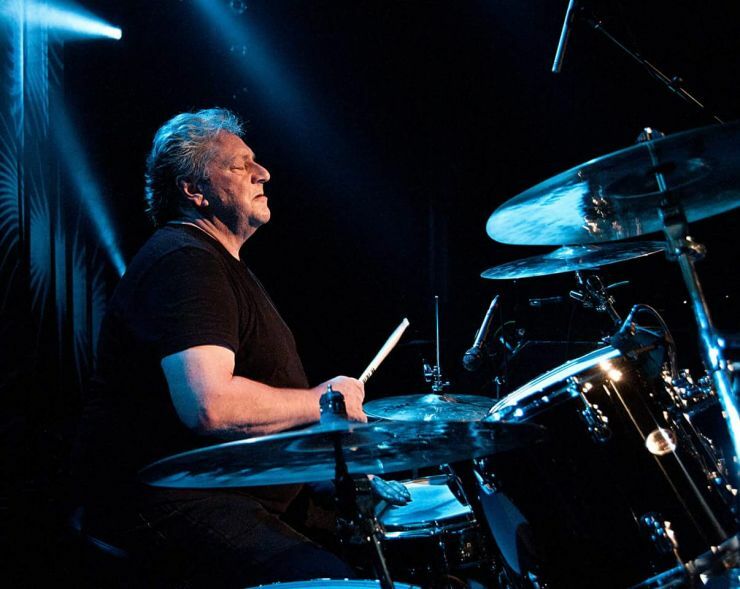 Mike Michalkow has been performing, recording, and teaching drums for more than 20 years, with a storied career that has seen him brush shoulders with some of the most recognized drummers in the industry. 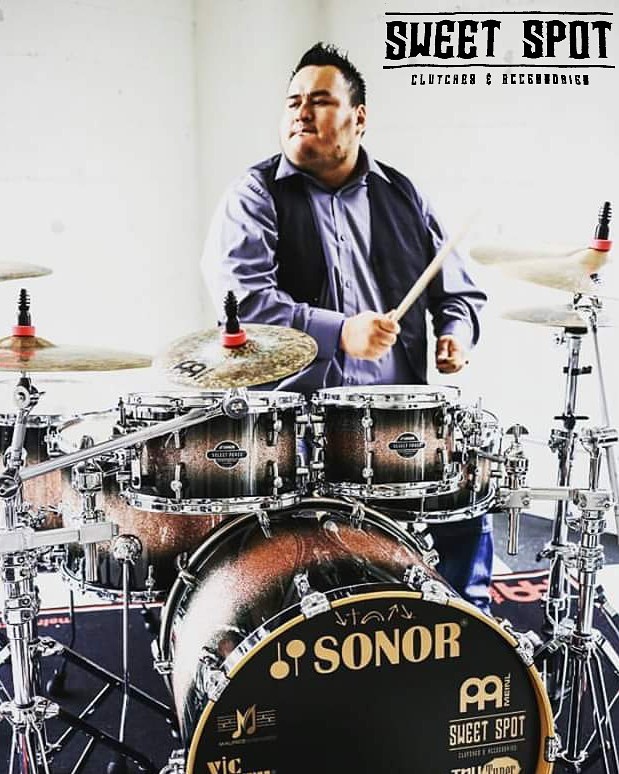 His passion for drums and percussion has earned him a name in the business. 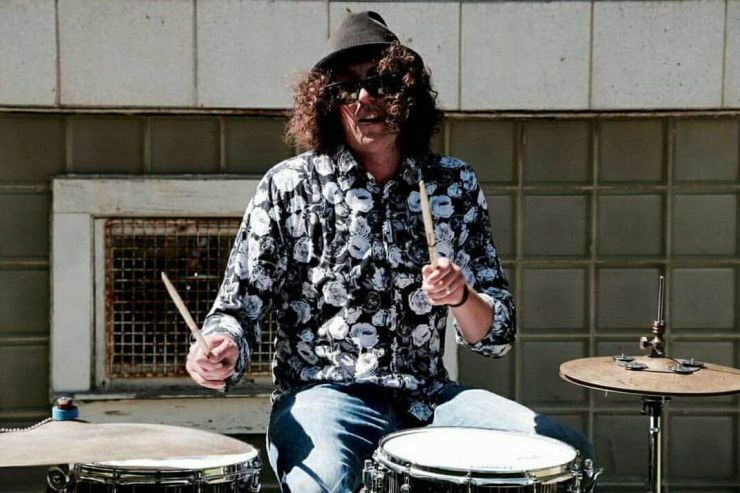 This led him to be the Orchestra Drummer on a popular cruise line, heading up the drum department for the USA West Coast for the “National Guitar Workshop”. Mike has also performed and recorded with songwriters and bands with a range of styles including progressive rock, latin, jazz, blues, pop, funk, celtic, country, metal, and R&B. 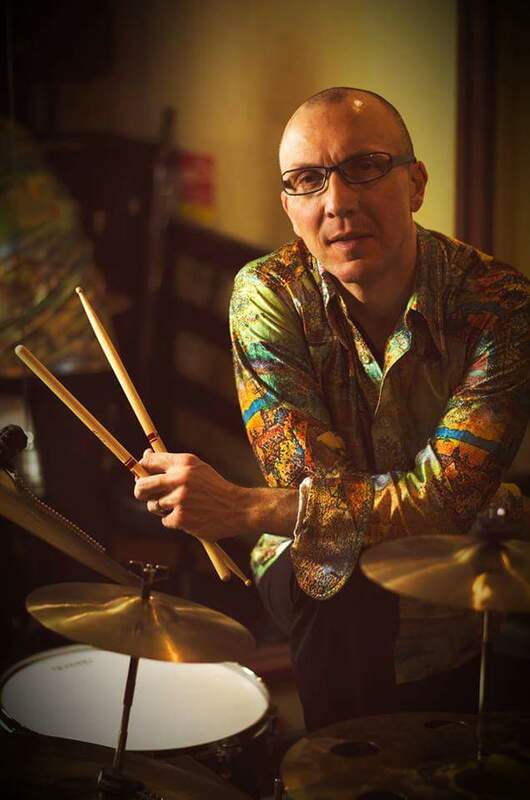 Mike has taught on various drum instructional DVDs including “Moeller Method Secrets”, “The Jazz Drumming System”, “The Latin Drumming System”, and the world- famous “Drumming System” which has sold nearly 20,000 copies. 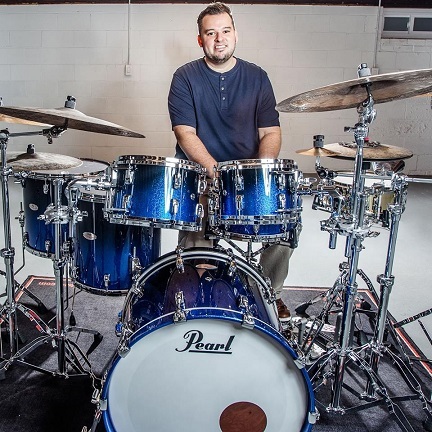 Mike is also an ongoing instructor for the online drum lessons community at www.Drumeo.com. 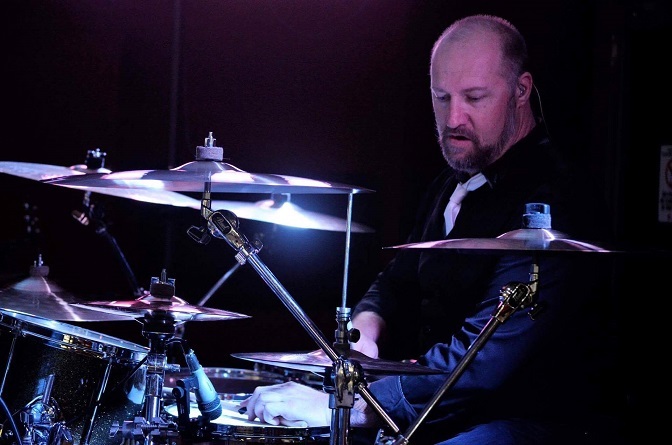 Andrew started taking his drumming career seriously in 2007 after he went to see Evanescence perform with their new “ fill-in drummer ” Will Hunt. 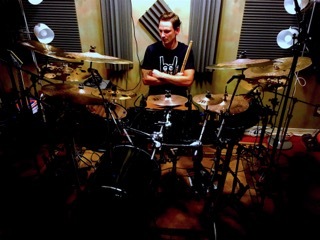 Not too long after, Will became the primary drummer of Evanescence. 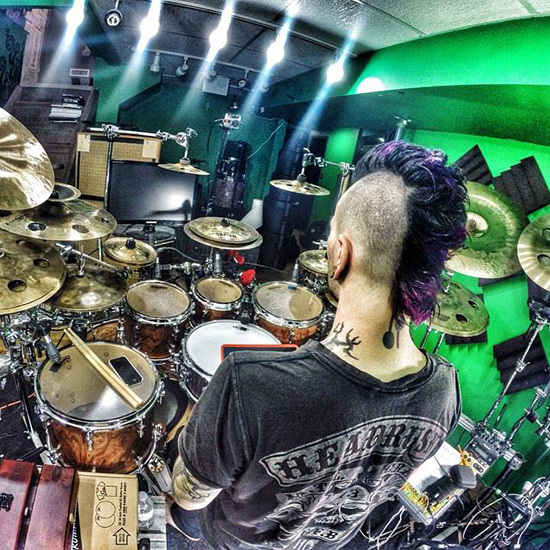 He is also affiliated with other well- known national acts including Black Label Society, Eye Empire, Dark New Day, and Static-X to name a few. Highly inspired by the skill, energy, and creativity of Will Hunt’s drumming style during that unforgettable performance, Andrew's eyes where suddenly opened to the new possibilities of a completely new advanced way of drumming. Immediately following that concert, Andrew started researching other drummers that had the same kind of energy and power behind their drum kits. 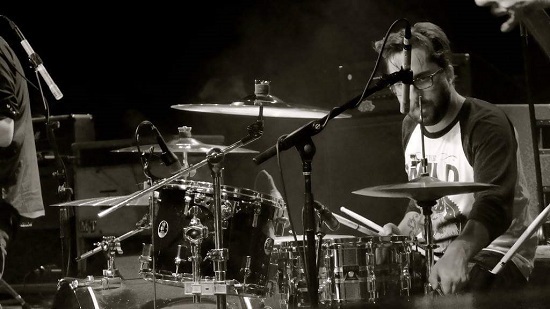 During this time, Brandon Saller (drummer for the band Atreyu / Hell or Highwater) had become another drummer at the top of Andrew’s list of influential idols. Brandon not only added his own unique style to drumming but he also added his heavenly clean vocals which are now a major part of Atreyu's signature sound. Enlightened and driven, Andrew began brainstorming what direction and to what level of commitment he was going to take towards his own drumming style. Years later with his standards set to a much higher and more professional level, Andrew has dedicated nearly every day to continuously learning practicing, and studying percussion. Due to their success of playing locally the band had decided to go on their first tour. The line up consisted of Robert, his brother and a Bass player by the name of Eloy Fernandez. They would play New Mexico, Wisconsin and many other areas. Eventually he would reach a new height of success with their album "Xenophobia" which hit multiple stores all around the country. They would tour in support of this album for the next year. Shortly after the tour the band decided to spend the next few years recording rather than touring. Since having the time off from touring Robert had decided to try something different in his eyes. He wanted to become a Jazz drummer and not just any Jazz drummer but a great Jazz drummer. Robert had spent some time in the past studying Jazz in his High school. He was even awarded multiple awards at the Baker University Jazz festival in Kansas. Robert decided to start playing Jazz under the direction of Wayne Goins. During this time he would play in Jazz Lab A, Housewreckers Jazz combo, Swing Machine Combo and is currently playing in their top ensemble the "Concert Jazz Ensemble." Shortly after reaching success with the Jazz program at Kansas State he was invited to join the Thundering Cats Big Band. A popular big band around the Manhattan area. Matt is a seasoned musician with over 24 years of professional experience. 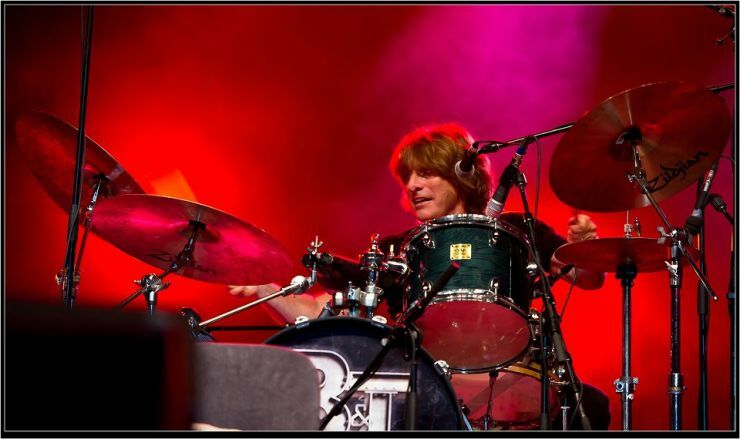 He prides himself on being a versatile, groove-oriented drummer with the ability to play several styles. Matt has been involved with several bands in the greater Ottawa area over the last few years. Including Sal Piamonte, Amanda Rheaume, Cooper Brothers as well as many others. 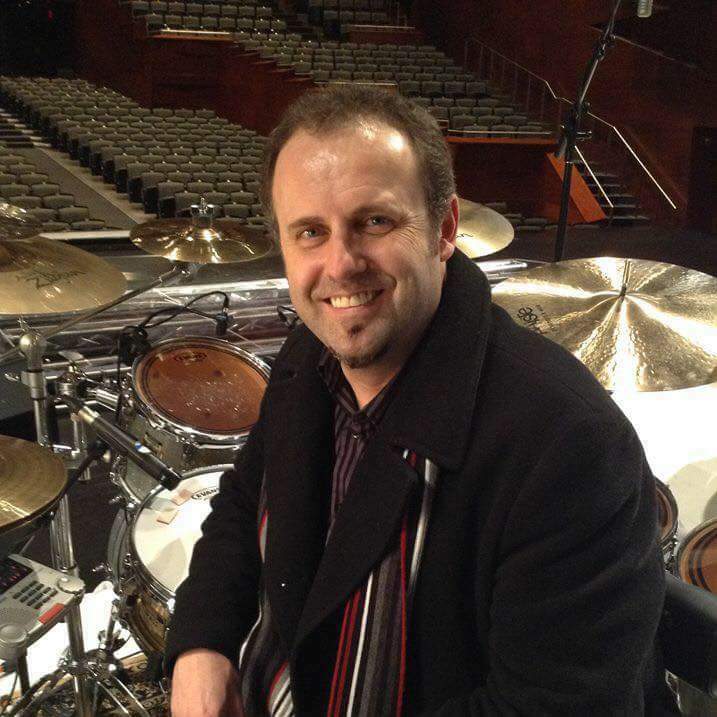 Matt is also a drum teacher at 2 respected music schools in the Ottawa area as well as his home drum studio. Matt endorses Ayotte Drums, Paiste Cymbals, Remo Drum Heads, Regal Tip Drumsticks, Protection Racket Cases. Born Purple and blue in 1989 in Minneapolis, Minnesota Blayr Alexander was pronounced dead upon delivery. With his Father (Byron Alexander Sr) standing in the room in disbelief, he watched as doctors tried to revive him. With time passing, his father began to pray. moments after prayer, a cry bean to emerge from the infant. Growing up in a small church in Minneapolis, Blayr always sat front row just to watch his cousin Barry Alexander play the drums. Watching vividly every move he'd make in awe, B, knew then at a very young age that he wanted to be a drummer. Years later, and due to one sunday his cousin going off on tour and not showing up for church, Blayr's father being the minister of music at the time, sat at the keyboard and played by himself for a song or two before he made eye contact with Blayr. Looking at Blayr he said "Get on the drums and hold the pocket". Being that B had never REALLY played before, he nervously got on the drums in front of a full congregation and began playing. His father in awe that he could play, B played the whole service from that moment on. . Every Sunday. Blayr started his professional career at age 16. 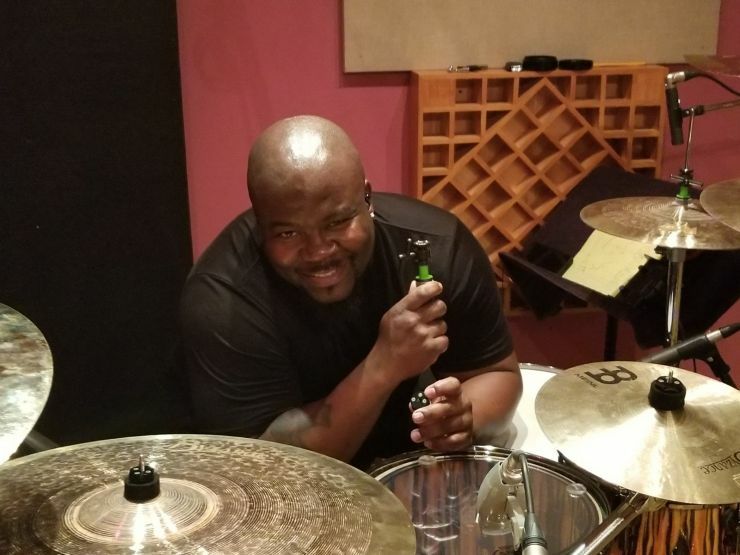 With influences like Ron Bruner Jr, Dennis Chambers, and Byron Alexander Sr, Playing with power, speed, theatrics, stamina and "pocket for days" as he likes to call it, has gotten his talent to Play for Groups such as The New Congress , Sarah White, and currently he leading his own national touring group Audiyo Element. AE is gearing up to drop their album #2048 in December 2015. 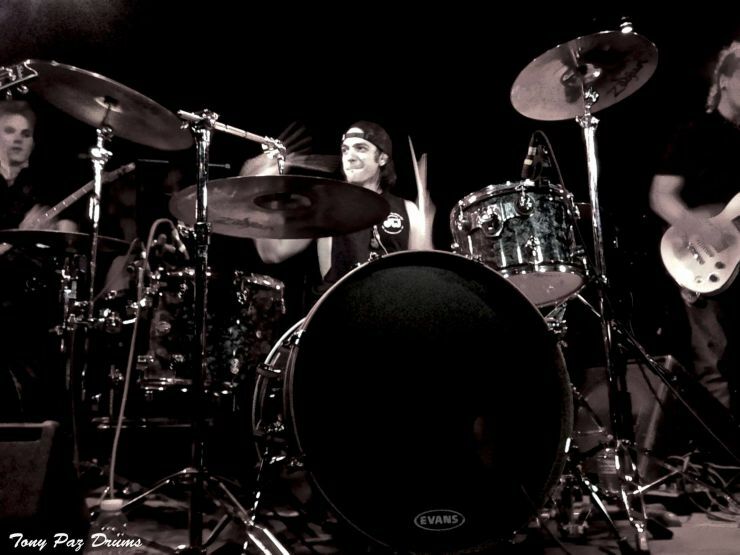 Tony has been playing the drums since he was 8 years old and has been playing the local Phoenix scene ever since. 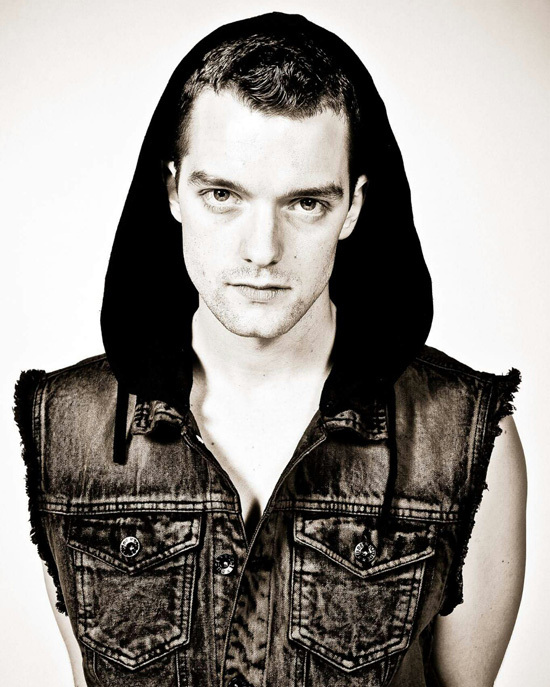 In 2010 he signed to Greenkite records, toured and recorded with the band ColdFusion. After doing studio work and playing with other miscellaneous bands, he is the newest drummer of the up and coming band Throw Logic. Tony’s playing can be described as powerful, earthshattering grooves that will lift your music, mind, body and soul. 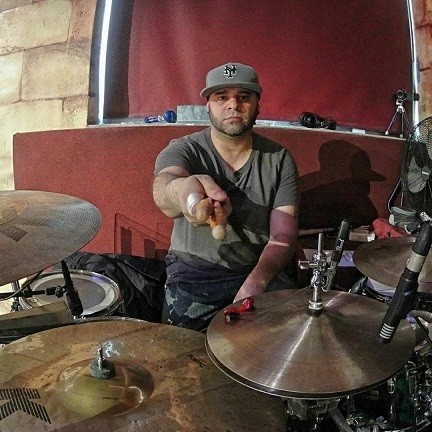 If you haven’t heard any his work you can check him out on YouTube - Tony Paz drums channel, and Facebook - tonypazdrum. Keep your eyes open and your ears peeled for this drummer and his bright future. 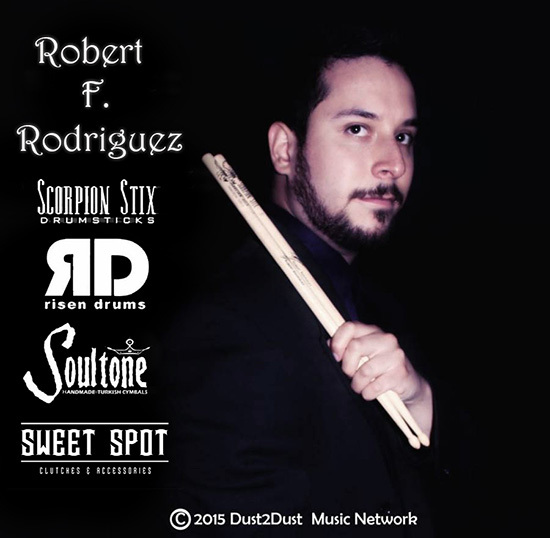 Tony Paz is endorsed by: Phoenix Drum Company, SoulTone Cymbals, Evans drum heads, Gibralter, and most recently Sweet Spot Clutches. Welcome Tony Paz.